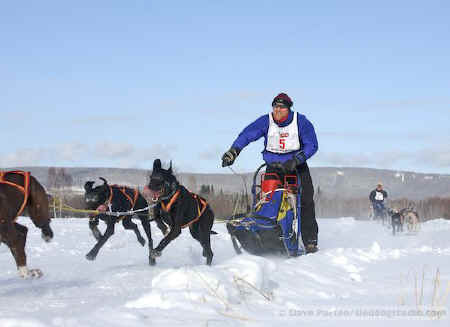 The 63nd Annual ONAC Race...The "Granddaddy of 'em All"
Sled Dog Central 2008 Live Checkpoint Times! Springhill Suites by Marriott webcam showing 2nd Avenue. Pro Music webcam showing the river ramp.